This app was created in 2011 after watching Steve Jobs presenting the iBooks app for iPad. Seeing all those book covers resting on a wooden bookshelf was the actual inspiration for creating vinopal. Please see vinopal as a coffee table version of your wine collection managed by CellarTracker.com the world's largest database of wines. Use it together with your wine enthusiast friends, dinner guests or on your own to find the perfect bottle(s) to open and enjoy. It will also save you from constant visits to your cellar just to see all those great bottles at rest. 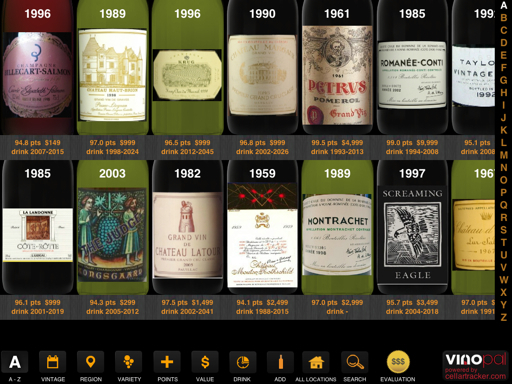 Before you start using vinopal you first need a cellartracker.com user account with some wine bottles associated with it. If you haven't done so already, you can download the app from the App Store here. Please send any questions/support issues/etc... to this email or view the FAQ. 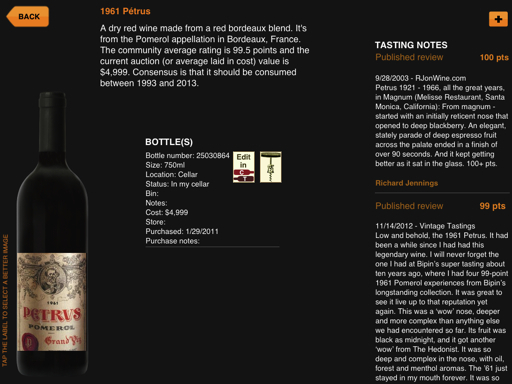 Read more about vinopal in this StarTribune article or this Robb Report feature.